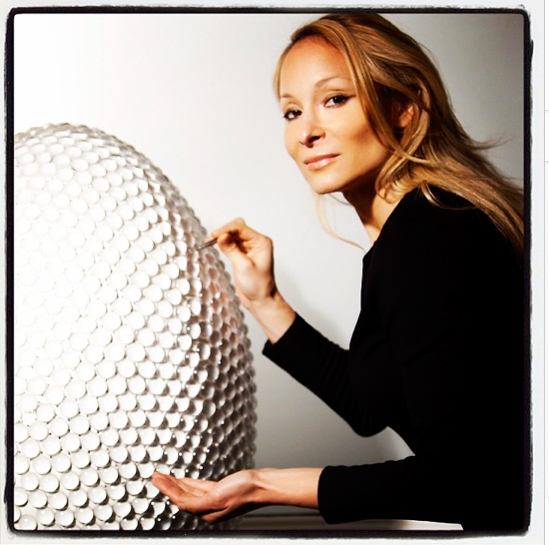 The Untitled Magazine’s editor-in-chief, Indira Cesarine, is pleased to partner with the Fabergé Big Egg Hunt, coming to New York City in April 2014. This innovative and engaging fundraising initiative will feature over 250 large egg sculptures – each designed by globally-renowned artists, designers, and creatives – placed throughout New York City’s five boroughs from April 1st – April 26th. The general public will be encouraged to participate by finding all the eggs, with incredible gemstone prizes from Fabergé serving as an incentive. The Fabergé Big Egg Hunt will culminate with a spectacular auction of the collectible and one-of-a kind egg sculptures, held by Sotheby’s and online via Paddle8. Created as an innovative and engaging platform to raise funds for Elephant Family, a charity devoted to protecting and reconnecting Asia’s most important forests for elephants and for all of the animals who share them, as well as other non-profits, The Fabergé Big Egg Hunt caused a frenzy in London in 2012, set two Guinness World Record Titles and ultimately raised over $1.5 million for charity. The 2014 hunt in New York will benefit both Elephant Family and Studio in a School, a charity dedicated to providing students with a full and meaningful visual arts experience. Participating artists include many of the world’s leading artists and designers, such as Adam Cost, Bruce Weber, Carolina Herrera, Cynthia Rowley, Diane Von Furstenberg, Francesco Clemente, Jacques Torres, Jay Godfrey, Jeff Koons, Julian Schnabel, Maggie Norris, Marc Quinn, Marchesa, Matthew Weinstein, Martha Stewart, Naeem Khan, Peter Beard, Ralph Lauren, Richard Dupont, Ronnie Wood, Terry Richardson, Tommy Hilfiger, Tracey Emin, William Wegman and The Untitled Magazine‘s own editor-in-chief, who designed an egg made of glass and crystal titled “The Egg of Light”. For a complete list of participating artists click here. For more information on The Fabergé Big Egg Hunt, or to purchase limited edition miniature eggs, please click here. The “Egg of Light” by artist Indira Cesarine for The Big Egg Hunt NY is available now on Paddle8 for auction – proceeds go to The Elephant Family Charity and Studio in a School! The sculpture is covered by over 2000 glass globes – each surrounded by Swarovski crystals – of which over 5000 were individually applied in a perfect mathematical formation to reflect and refract particles of light when the egg is near sunshine or other light sources. Start your bidding and help save the Elephants! You can find your first clue to hunt for editor-in-chief Indira Cesarine’s egg here! 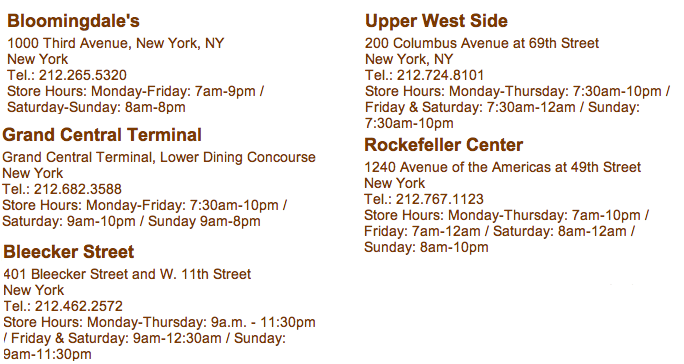 Magnolia Bakery NYC Locations: Happy Hunting!